Exciting news! The revamped Beachbody Coach site just launched and boasts an upgraded look, feel, and set of features to help fuel your retailing and recruiting efforts. Every Beachbody Coach gets their very own Web site! You can customize and make a variety of changes to your Beachbody Coach site. You can add your contact, a personal message to potential new customers or Coaches, and upload a photo of your choosing. 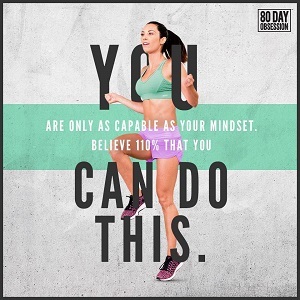 You decide how you want to be represented on YOUR Beachbody Coach site! You can also select banner images for the right side-bar. You can choose from a total of 12 banners and display your favorite 2 on your Coach Website. If you do not change these images, it will use the default product images of P90X and Shakeology. When these banner images are displayed on your site, a visitor can click on the banner and learn more about the products, the community and business opportunity. They can also buy the product, join the community or become a Coach from these buttons. Best of all, you add your social networks so potential customers and Coaches can connect with you in a number of ways like your Blog, Facebook, Twitter, YouTube, LinkedIn, and Team Beachbody message boards. Get in on the action now! Team Beachbody Coaching is exploding in Phase II! Click to Join as a Coach today!